I’ve already found that Photoshop and Lightroom don’t integrate very well with Behance, but that doesn’t mean that Behance doesn’t have a value. This post sets out to evaluate Behance from the point of view of an advanced photographer (whether pro or semi-pro) or an artist-using-photography. I will also bear in mind that Behance is augmented by ProSite, a more fully-featured Web site creation tool, which I’ll evaluate separately. Before sitting in front of Behance, I first want a list of criteria, that is, the functionality I want to see from an image storing and publishing site with elements of social media about it. to be able to sell my images, ideally with secure on-line payment facilities or, failing this, to indicate that they are for sale with a link to an e-commerce site of my choosing. So how does Behance stack up against these requirements? I can set visibility to Everyone (i.e. the world), to a circle of people with accounts on Behance, or to individuals with Behance accounts. That’s about all I need really. It is interesting that even though I set a restriction, an anonymous search of the Behance Web site will still show that I have a project on Behance, the viewer just cannot access the images until they log in and are verified. I can set a warning for adult content, which allows others to selectively control access. Yes, I can select any of the 3 options for my Creative Commons licensing (allow commercial use, allow modifications, allow derivatives. Attribution is always set, which is fair enough). I can alternatively opt for No Posting Without Permission, which some might want, though this limits potential exposure. Behance has 2 areas for my images: Work in Progress or WIP; Projects, which are groups of my images. Unfortunately Behance does not allow me to move WIP images to Projects. Instead I have to delete WIP then upload images as projects. This seems unnecessary use of bandwidth. Within a project I can re-order images, caption them individually, mark them for sale and change the spacing between them. I can replace or delete individual images. I can also attach a limited amount of metadata to the project as a whole by allocating creative fields (e.g. architecture, landscape design, typography) and by tagging (e.g. landscape, black and white). I can write a description of the project and I have access to additional fields: brand; agency; school; credits; tools used. The main use for these is as filter criteria when users search the site. There is also a link from a project to a WIP that allows you to direct viewers to an image in the WIP area. I’m not sure how I’d use this yet but it’s probably part of someone’s workflow. I can re-order images within a project, so this would be OK for discussing, say, a potential book layout with a publisher. Although I can control visibility of my project I cannot control editing rights, so although my editor can view the project she would need to email me about changes as I am the only one who can edit. This does not lend itself to collaborative working; it would be better if I was able to select who could view-order-edit-delete separately. Bulk operations are really limited: if I upload a lot of WIP images and later turn them into a project I have to delete each WIP image individually then upload them all again as a project – yuk! I can keep multiple versions of each WIP image and delete them all with one click but that’s about it for bulk operations. This is an area that will have to improve or busy professionals will quickly find a better alternative. Behance supports Likes and Comments – but so does every social media site on the planet. I need my collaborators to be able to rate images with scores or stars and, if possible, against multiple criteria. Nope, Behance can’t do this. WIP images and projects both support comments. It’s basic and nothing to make it stand out from the crowd. Now if my colleague could drag an arrow from her comment to a point on my image, that would be really useful (e.g. “lighten the face here”, “remove this tree branch”). The random sample of comments I’ve seen are no better than comments on general public sites, e.g. “nice landscapes”, “beautiful”, “great work Gerhard! always an inspiration”. Perhaps within closed circles the comments are more constructively critical but from what I’ve seen so far there’s nothing to distinguish between the audience on Behance and any other image-based site. WIP images can contain multiple revisions and each revision has separate comments. The revisions are not date/time stamped though the comments are. This is quite a useful system. Projects can only be discussed at the project level, not image by image. Images can only be commented on as a WIP. Unfortunately there is no integration between projects and WIP images – shame. Nope. Behance does not have anything resembling lightbox, album or basket functionality. I will have to look elsewhere for this. There are no e-commerce tools in Behance so for e-commerce functionality I will have to look elsewhere. All I can do is flag images as “for sale” and link to an external site. Behance’s declared mission is “To empower the creative world to make ideas happen”. Unfortunately the hype and the reality are a long way apart at the moment. Adobe bought Behance because it needs this on-line platform. What I see, though, is only a start. At the moment Behance expects me to work in a particular way and be constrained to its workflow. That won’t do, especially for its target customers – creatives. It needs more flexibility and more functionality. As a promotional tool it has potential. The customer base is creative and image-based, and the quality of the work I’ve seen is high, so it should be a lot more targeted than, for example, Flickr. But as it stands Behance is very much a work in progress. I really hope Adobe has a development program in place for this platform because from what I’ve seen so far, it definitely needs it. I am continuing my subscription for a year and will report back on enhancements as they appear. The spacious and underwhelming entrance to Media Space at London’s Science Museum. Media Space is next to a cafe, which has the potential to provide a social space for photographic gatherings and possibly fringe exhibitions. That thought might be a bit radical though, given their archaic attitude to taking photos within the exhibition – as regular readers of my blog will know, galleries that ban photography in photographic exhibitions are one of my pet hates, and now I can add Media Space to the list of offenders! (for copyright reasons, according to the entry staff). Media Space is a new 500m² gallery within London’s Science Museum – more details. The Science Museum also runs the National Media Museum (NMM), which houses the UK’s premier collection of historic photographs and photographic technology. The NMM is located in Bradford, about 325km (200 miles) north of London. Unfortunately the NMM sits in isolation photographically speaking. It would be great if it had acted as a nexus for other permanent photographic activities but this hasn’t happened. 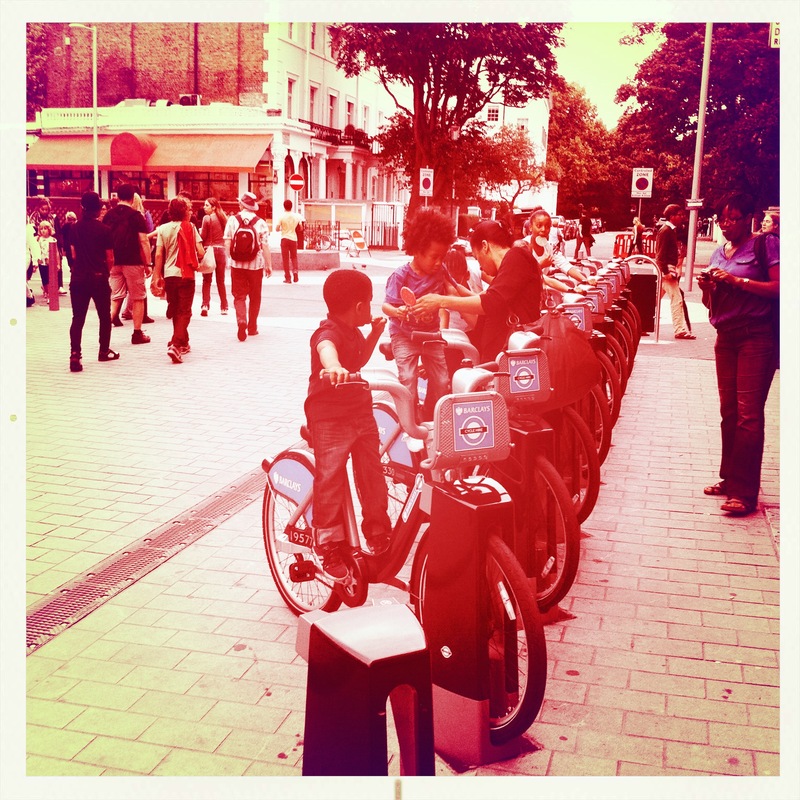 London is really the place in the UK for photographic exhibitions and galleries, though of course there are significant periodic events in places like Brighton and Derby. And, of course, there is the rising consumption of images on-screen and on-line to add into the risk factors to consider when exhibiting physical photographic prints. Now, finally, the museum has bowed to the (almost) inevitable and created Media Space so that the NMM’s collections can be better appreciated. Hooray for that! The inaugural exhibition is drawn from the work of Tony Ray-Jones (1941 – 1972). The exhibition also includes early black & white work by Martin Parr and though excellent, I have not included it in this review. At first I was surprised at how small the exhibition was but I was deceived by the clever layout of the dividers used to hang the photos; these hid the full extent of the gallery’s space. When I finally left the exhibition and looked at my watch I realised I had spent 3 very enjoyable hours looking at the images! Although raised in England, at the age of 19 Tony Ray-Jones (TRJ) won a scholarship to study at Yale University, USA. He took a year out and worked in New York City, then graduated in 1964, photographed in the US before returning to England in 1965. This period in the US was when he honed his personal style, though his notebooks, some pages of which are in the exhibition, indicate that he was raring to photograph not only the British but throughout Europe. Then, in 1971, he returned to the USA to teach in the San Fransisco Art Institute. Shortly after arriving in the US he was diagnosed with leukemia; he came back to Britain for treatment and died on 13 March 1972 at the age of 30. 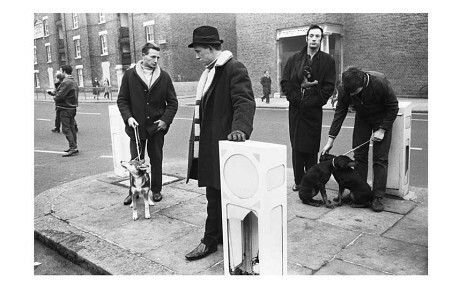 In 1968 the Institute for Contemporary Arts (ICA) in London held its first photographic show. TRJ’s photos were there and they “…took the British photography community by storm and… …heralded a new departure in photography.” [exhibition poster]. TRJ’s style has no obvious predecessor: although documentary, it goes beyond simply documenting and shows a personal, wryly humorous view but of an outsider looking in. 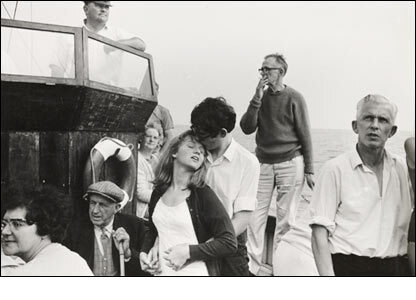 He did admit to being influences by Bill Brandt’s book “The English at Home” (1936), and this made him see the goal of his work to be in book form: “A Day Off” was eventually published posthumously in 1974 by Thames & Hudson. 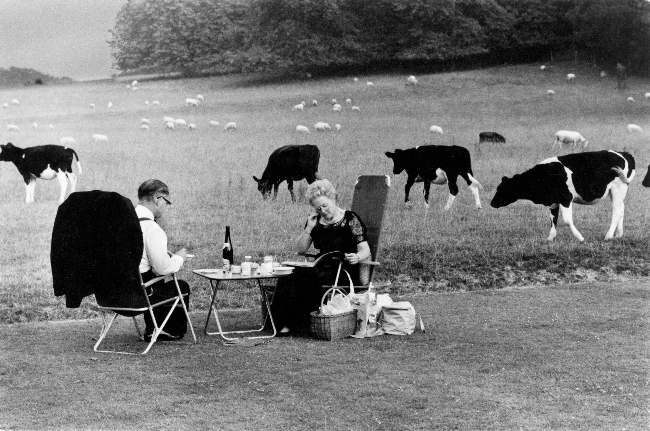 This picture of concert-goers at Glyndebourne uses juxtaposition of disparate elements for its humour, which occurs frequently in TRJ’s images. 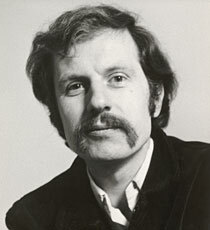 This image was used on the jacket of his book “A Day Off”. 1974. Image by Tony Ray Jones. Although our eye is immediately drawn to the central couple, it is typical of TRJ for our curiosity to be engaged about what could be happening out of frame – something that the other people are more concerned about but the couple are oblivious to. Image by Tony Ray Jones. The use of space is of great significance in many TRJ images. Sometimes everyone is crammed together but more often he uses space to separate or group the “actors” in the scene to show 3 or 4 stories at a time. Image by Tony Ray Jones. 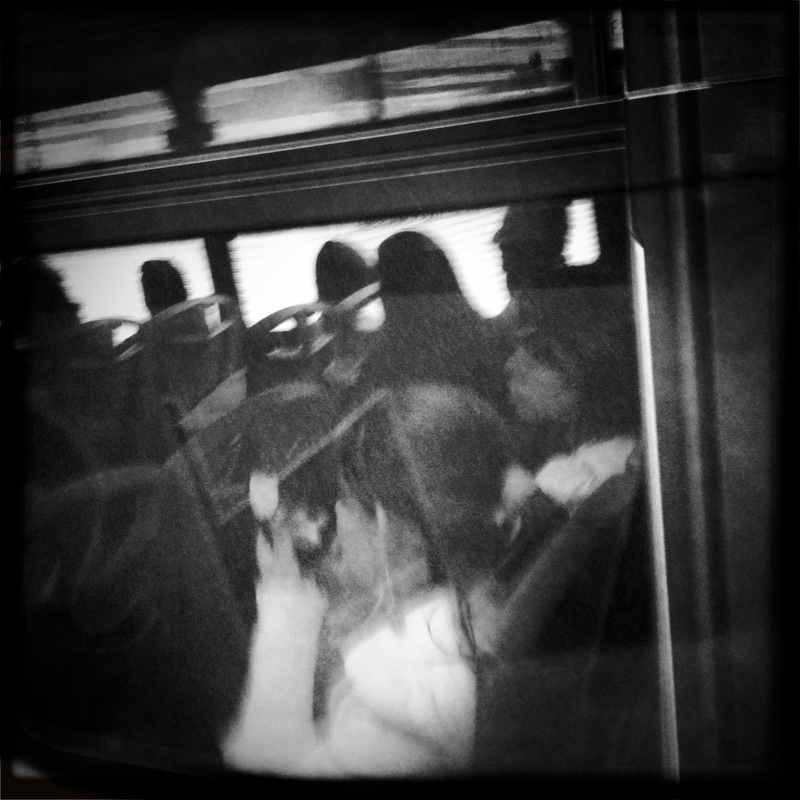 It sounds formulaic but his photographs are anything but. The curator, Greg Hobson and guest curator, Martin Parr, say that they were particularly looking for TRJ’s use of space when selecting the images for the exhibition, and they have certainly managed that. Not only do we see some images with no space and others with lots of it, but we also see images that pushes our interest to the edge of the frame and cleverly use space beyond the rectangle of the photograph: people in the photos are frequently looking beyond the frame, which directs our attention out of the picture and makes us curious about what it is that they are looking at. This makes it easy for us to construct many fictions around the photos, and is a quality that makes it possible to look again and again at many of TRJ’s images without being bored by them. Another notable quality is that none of the people pictured appears to be aware of the camera so TRJ must have had an uncanny ability to blend in with his surroundings and become effectively invisible. This is an excellent first exhibition in the new Media Space. Given the huge collections held by the National Media Museum there is no shortage of material to display here, I just hope that the finance can be found for it to continue for a long time to come. I also hope that the emphasis will be on the image not the technology – a danger given the nature of the host museum. It is particularly good to see this initiative at a time when museums’ funding is very tight – well done to the Science Museum and NMM! 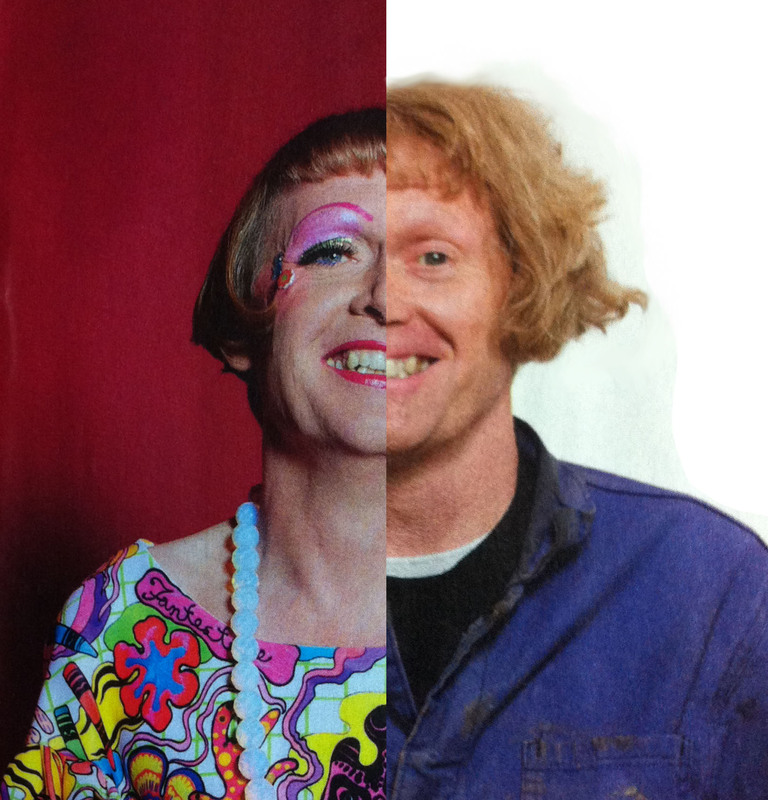 This year’s Reith Lecturer (an annual institution of the BBC, in case you didn’t know) is the artist and Turner prize winner Grayson Perry. Only Grayson would consider it necessary to give a radio lecture dressed as his alter ego Claire. Yes, he’s a man but he has a long-term curiosity about what it feels like to be a woman – and to observe how others react to a man dressed as a woman. Nope, Perry is not conventional in dress or in thought, so expect his lectures to be stimulating, entertaining and, at times, controversial. The lectures are being broadcast on Radio 4 on successive Tuesdays at 09.00 London time (08.00 GMT) and repeated Saturdays at 22.20. They should be available on Internet radio and shortly after as a podcast. The first of the 4 lectures is titled “Democracy has Bad Taste” and will be as relevant to photography as any other artistic medium. This will definitely be worth a listen! Use of camera phone, colour cast and no eye contact only scores 3/10 on the snob annoyance scale. Copyright Malcolm Raggett. 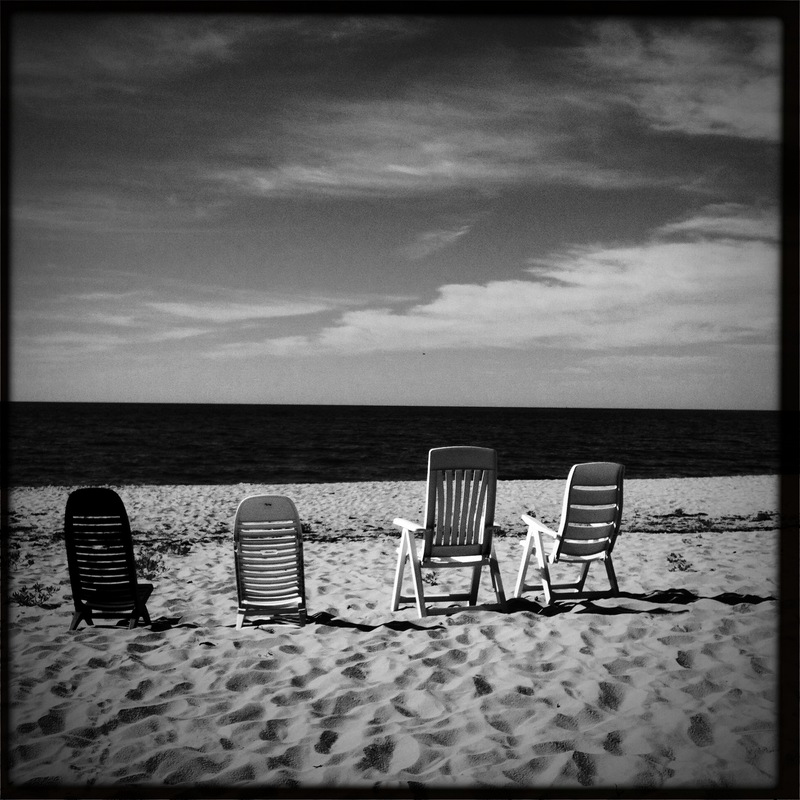 Here’s a great little article from Digital Camera World: How to Drive Photography Snobs Mad. The more of these “faults” you introduce into your photographs, the more Postmodern you will be! camera phone, blown-out highlights, tilted horizon, no eye contact, visible noise, soft. Score: 6/10 – getting better but room for improvement! Copyright Malcolm Raggett. 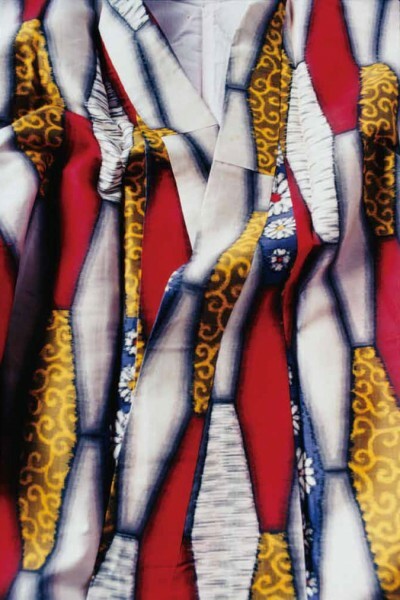 Miyako Ishiuchi (b.1947) has photographs in two exhibitions in London at the moment: Tate Modern and Michael Hoppen Gallery. If you are in London, they are worth seeing. 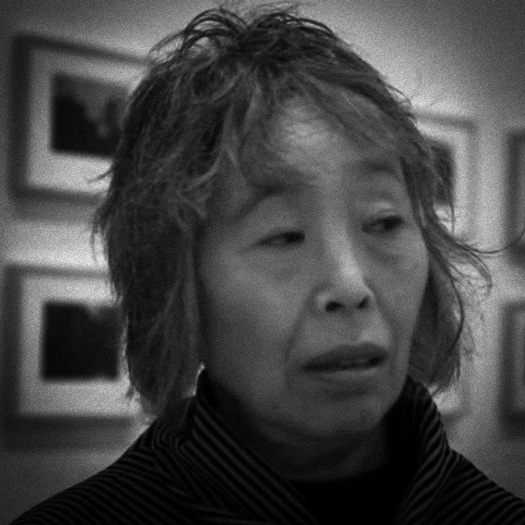 Ishiuchi didn’t take up photography until she was 28 when she came under the mentorship of Shomei Tomatsu and Daido Moriyama. This influence is clear when you see her first collection ‘Yokosuka Story’(1976-1977), which is currently on display at Tate Modern (the Tate also has an interesting interview with her). Her early style is very reminiscent of Moriyama but with an eye for interesting patterns and shapes that respond well to the gritty, high-contrast black & white approach common to the photos in this series. The images record a run-down town with seedy traditional architecture as well as western influences left over from the defunct US naval station. It is a town lost; bypassed by life. 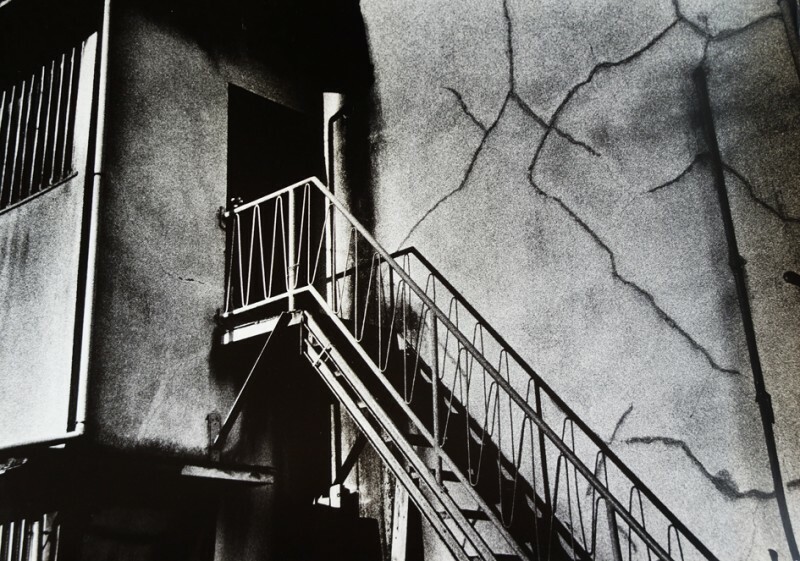 The Michael Hoppen Gallery has 3 floors of exhibition space, all of which are currently devoted to Ishiuchi’s work. large images from her most recent series “Silken Dreams” are on the ground floor, black & white images from her early trilogy ‘Yokosuka Story’(1976-1977), ‘Apartment’(1977-1978), and ‘Endless Night’(1981) are on the first floor, and “Hiroshima” on the top floor. The display spaces are chosen well: the large windows on the ground floor and the ample skylights on the top floor are very appropriate for the colour images whereas the darker middle floor complements the dark grittiness of the trilogy pictures. Some of the “Hiroshima” series (photographs of items recovered from the town after the atomic bomb was dropped) have a fragile translucency to them that reminds me of the old Polaroid image transfer technique. It is as if the ghosts of the owners are still present. All of Ishiuchi’s images have a studied imperfectness about them, whether this is due to, for example, blur, grain or tilt, or simply the subject matter. 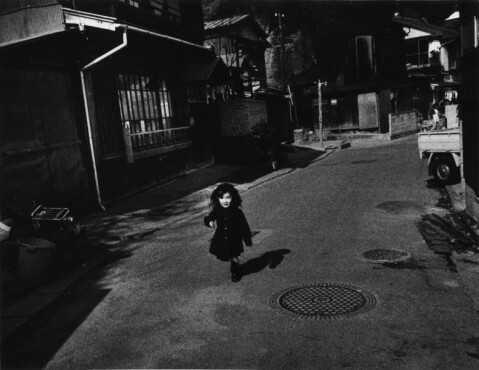 In “Hiroshima” she shows she can produce sharp, full-tone images when it is appropriate but, in the other series, is quite capable of using camera and process controls to achieve an altogether different emotional impact. 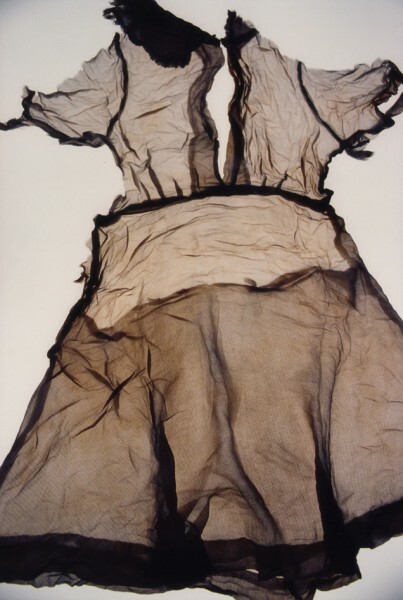 Unfortunately none of her images about body scarring is on show; what a shame as this is a long-running theme of Ishiuchi’s and would complement her studies in time and timelessness in the work that is on display. The scar images can be seen online but I suspect the impact of these as an exhibition would be much greater, so something to look forward to!